Mix marinade ingredients together. In a large ziploc freezer bag, add chicken and marinade. Marinate for several hours or overnight in refrigerator. 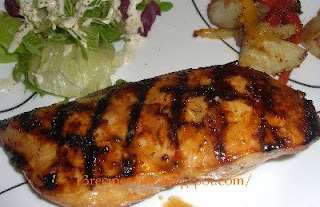 Cook on grill at a med/high heat for 3-5 minutes per side, depending on thickness of chicken. 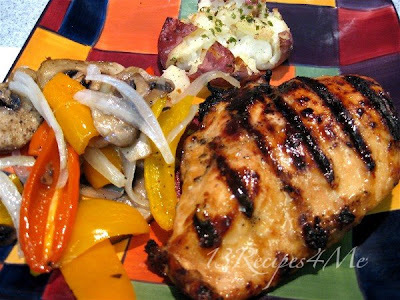 This recipe can be made into kabobs by adding red/green bell peppers and onion chunks. Reserve 1/4 cup of marinade for brushing on during grilling, before mixing with chicken.